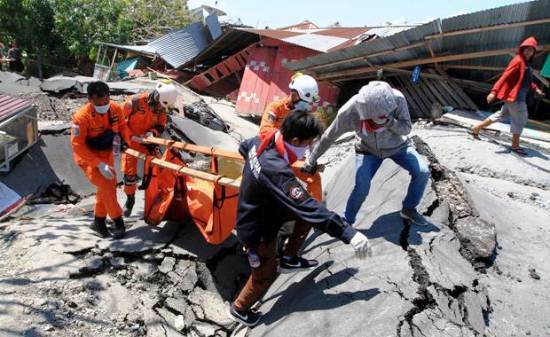 BINTANGNEWS.com – The death toll of the Friday's Donggala-Palu earthquake and tsunami has risen to 1,203, the Team of Quick Action (ACT) said here on Monday. ACT collected the data from a number of spots. "The largest was in Petobo, which was swept and leveled to the ground by the tsunami," Vice President of ACT Insan Nurrohman said here on Monday. There were 700 bodies in Kelurahan Petobo, 10 at Wirabuana Hospital, 201 at Undata Hospital, 50 in Mesjid Raya Mosque, 161 at Bhayangkara Hospital, 35 at the Tawaeli sub-district, 2 in the village of Kayumalue Pajeko, 5 in the village of Kawatuna, 7 Pos Pol PP, 32 at the Madani hospital. Insan said the death toll is feared to increase as there were still many missing including 61 foreign nationals, and 540 seriously injured being treated at a number of hospitals. He said 16,732 people were in evacuation camps in 123 locations in the city of Palu, districts of Donggala, Sigi and Parigi Moutong.